For a truly orginal cover that matches the theme, style, characters or more of your book, you may like a custom cover. To create these covers, I (may) use my own collection of over 100,000 photos, create artowrk from scratch in Photoshop (16 yeas experince) and utilise images and photos from Stock websites. You are more than welcome to submit you own images and art for the covers, so long as you have the appropriate copyright for them. pre-made covers and custom covers. I have extensive experience creating covers for Lulu.com, Amazon's Createspace, Smashwords, Lightning Source and most major Online Self-publishing services. What's the difference between pre-made and custom covers? • Each cover is 100% unique and will only be sold once! 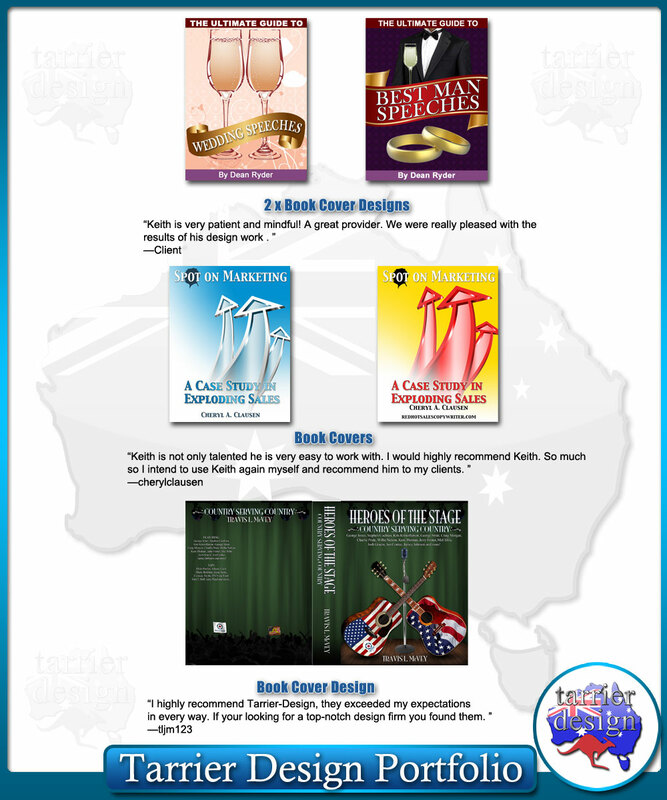 • Pre-made covers have the images all set in place and you just add the text you require to the cover. 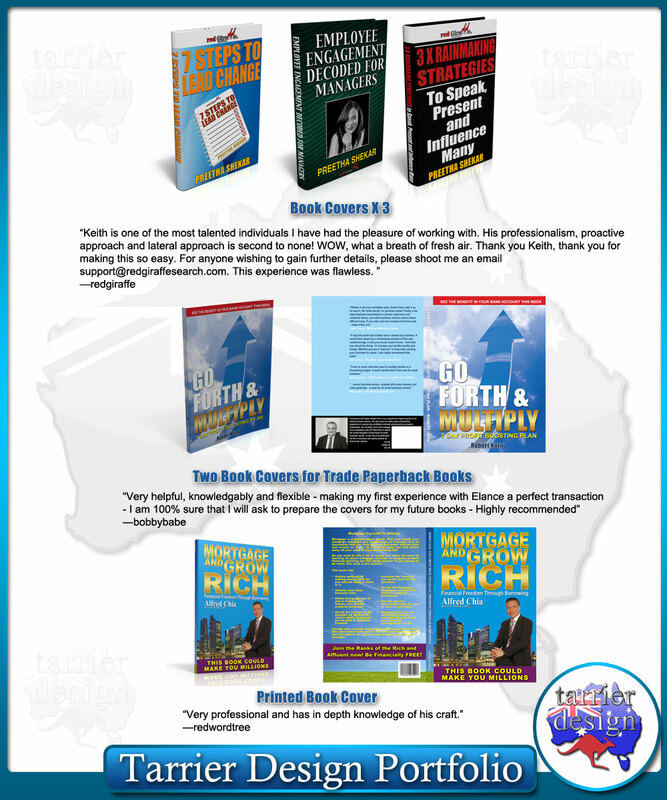 • Pre-made covers allow you to view the cover as you add the text and make any changes you require. 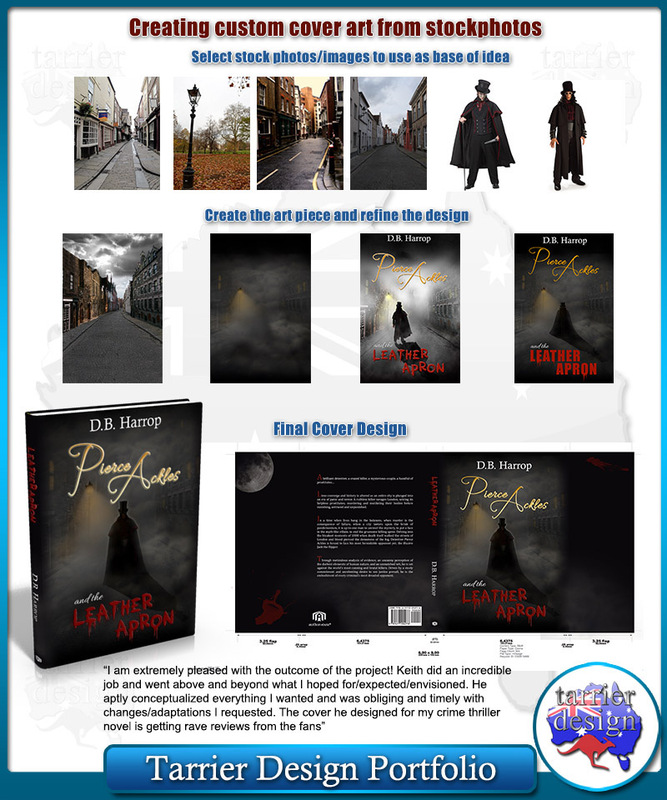 • Pre-made covers for self-publishing only include the cover image for the set price. Spine and back covers can be made upon request for an additional fee. • Custom covers allow for a much larger choice of fonts. 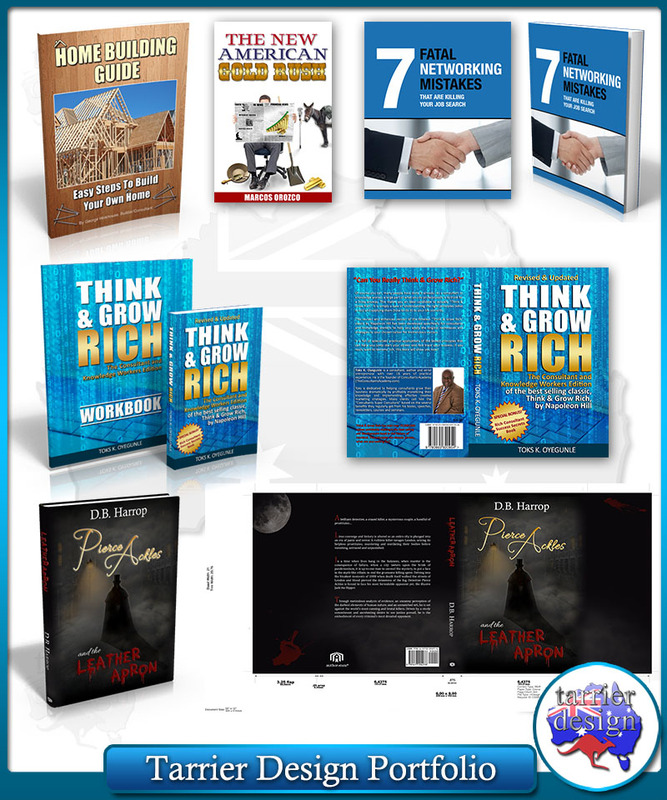 • With custom cover titles you can also get a lot more options for the fonts, such as 3D effects, gradients and other professional options to make you book look like a New York Times best seller! • Copyright on pre-made and custom covers allow you to sell up to 250,000 copies of your book before an additional copyright fee is required. We know you will love our covers as much as the many satisfied customers from around the world have. A part of the Keith Tarrier Group.